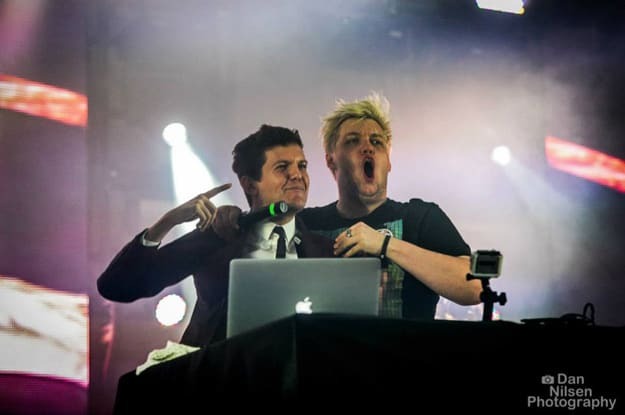 Flux Pavilion & Dillon Francis - "I'm The One"
Just yesterday we got word that Flux Pavilion and Dillon Francis had collaborated on "I&apos;m The One," a huge track that&apos;s set to be released on Flux&apos;s forthcoming Freeway EP, via this "Freeway" tour video. Today, we receive a full preview of this beast, and it&apos;s just as massive as we imagined it would be. Blending the upbeat electro vibe with a crunchy bassline, "I&apos;m The One" plays as an energetic rager, primed and ready to mash dancehalls... with a smile on its face. No official release date as of yet, but this one is too hard to sleep on.